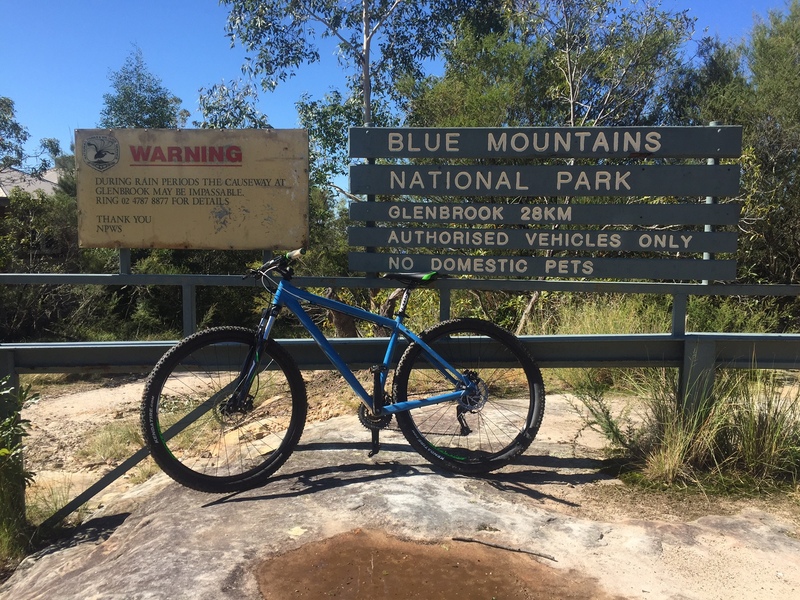 I've heard much from Sydney-siders about the amazing mountain bike trails just outside the city. So in the autumn sun, I decided to go take a look. Everyone says 'The Oaks Fire Trail' is a must, so off I went. $5.10 train fare using an Opal card and we're there. What a bargain! A quick Google search for 'mountain bike hire blue mountains' led me to Blue Mountain Bikes, a nice cafe/bike hire shop not to far from Woodford station. The manager, Damian, was a nice bloke, he talked me through the trail and offered a few helpful hints about the best lookout points and not to miss out the single track at the end. He handed me a 29r. If you're unfamiliar with mountain bikes a 29r has larger wheels than the traditional 26" wheeled bikes. The idea being you can roll longer on the flats and glide easier over the rocks. Check here for rental prices. The trail starts with nice rocks, gravel tracks and sweeping bends. The 29r certainly lived up to expectations and is really made for this style of trail. Greater speeds on the fire trails and better roll over rocks enables you to soak up the kilometres, get the odd fly stuck in a tooth and still enjoy getting thrown around the larger stuff. Now then, we aren't mountain biking without going up and the ups are great, just enough to get the heart pumping and set you up for the downs which are really, really great. No need for full suspension here, the 29r hard tail has just enough bite on the rocks to stir in the fun. Very important! Get off the bike every now and then to check out the dozen or so Rock viewpoints. Check for brown snakes and have a quick drink. The mid sections meander and twist with lovely sweeping downhills tracks. Go as fast as you want! But be careful, there's the odd slabby section to keep things interesting. Sounds fun? 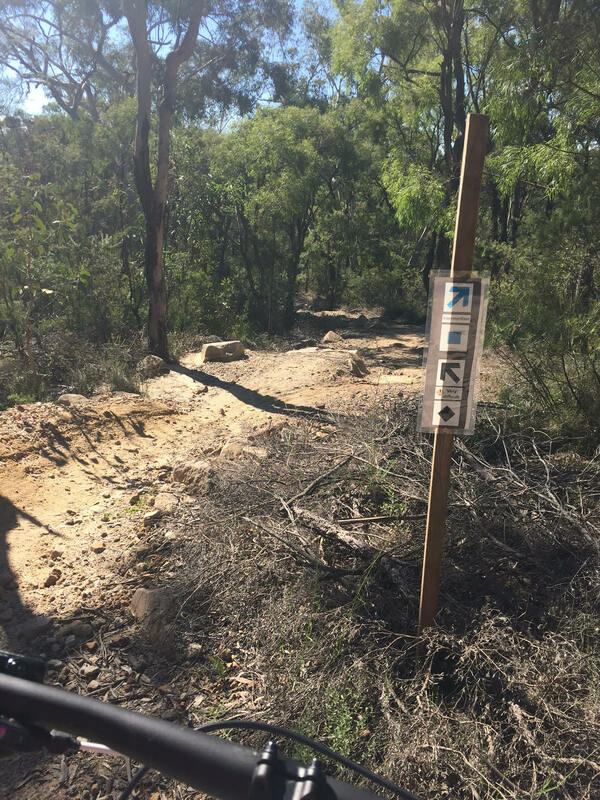 Naa - I arrive at the single track section when the fun really begins. This is classic Aussie single track. 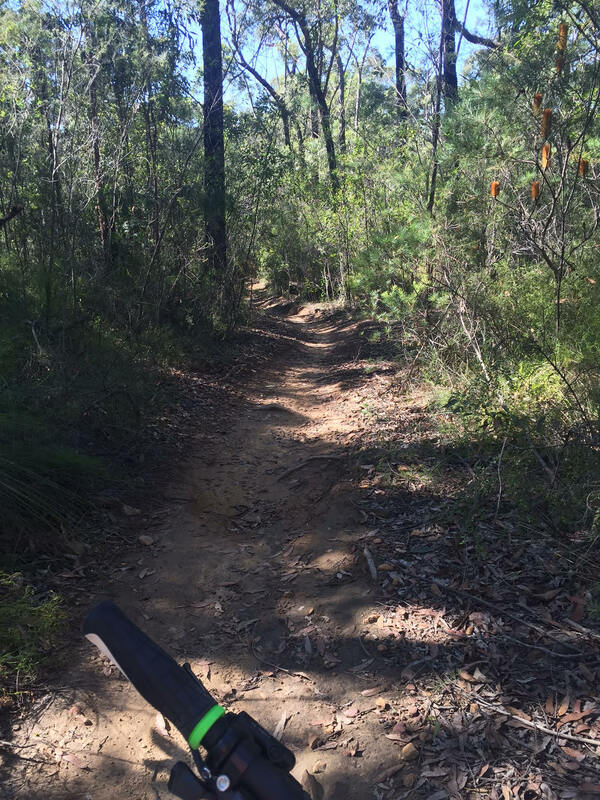 The long, sweeping, tree stump-lined tracks and switch backs go on for kilometre after Kilometre. Then comes the blue and black routes which constantly criss cross with some nice steep slabs and burms, then the trail ends. You finish with a final river crossing with a small(ish) uphill into the lovely village of Glenbrook. A quick train journey back and bike back with its owners. A great day, great route and true Aussie 29r action! 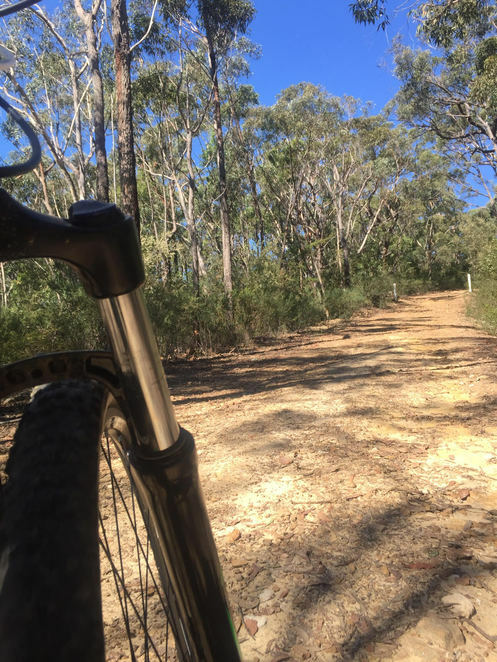 RE OAKS FIRE TRAIL: you may want to add that there's a really long/steep bitchumen road at the final stage just past the river crossing. Advisable to save a little energy for that last bit.